2017 has been another successful year for Year 12 Mount Scopus students with two students achieving the maximum ATAR of 99.95, nearly a third exceeding an ATAR of 95. Over half of the cohort in the top 10% of the state, and no less than 11 ‘perfect’ study scores we are very proud of all of our graduates and their teachers. Principal, Rabbi James Kennard said, “We congratulate our students on this year’s results. With 52% of our students with ATARs of 90 or over and nearly 30% in the top 5% of the State, we pay tribute to all our students and their teachers. Special congratulations go to Samuel Herz and Mathew Bassat, who each achieved the maximum possible ATAR of 99.95. Samuel and Mathew share the title of “Dux of the College”. 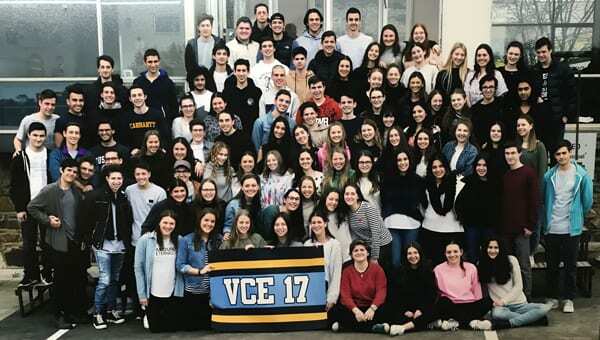 Amongst our top students are many who have contributed much to school life – in the Jewish life, Performing Arts, Community and Service and Sports programs – and now they have shown their academic excellence as well”.